is a TBTI publication series that present stories and experiences of small-scale fishing people, communities and organizations, told in their own voices using their own expression and images. Through the people’s perspective, We of the Sea portrays key essence and meaning of small-scale fisheries and invites us to dive into the world that we may or may not be familia r with. 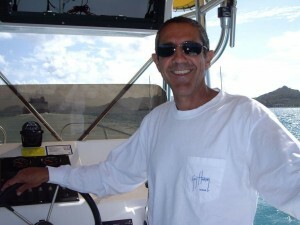 The title of the series was put forward by Captain Norlan Lamb, TBTI member and a passionate advocate for small-scale fisheries. 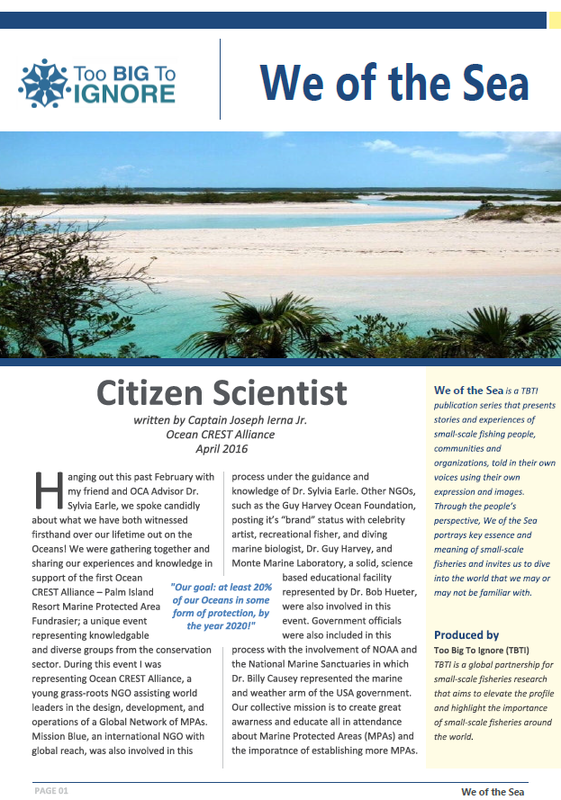 The first TBTI We of the Sea Publication ‘Citizen Scientist' is written by Captain Joseph Ierna Jr, a Co-Founder of Ocean Crest Alliance.